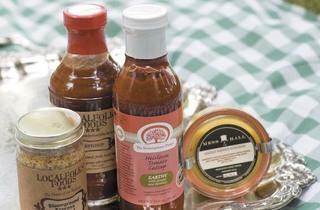 Using ingredients from local farms, artisans reinvent sacred American condiments. When it comes to sacred American condiments like ketchup and mustard, why reinvent what’s working just fine? Because in LocalFolks Foods’ version, produced in Sheridan, Indiana, the partially hydrogenated corn syrup found in mass-market brands is replaced with evaporated cane juice. The same philosophy applies to the company’s Stoneground Xxpress Mustard, which is sweetened with honey and red bell peppers. In the case of Marianne Sundquist’s Mess Hall & Co., it’s proof that notoriously spicy ghost peppers—locally grown—aren’t so scary after all; her thick mustard has serious (but not sharp) heat. And the Scrumptious Pantry’s just-released line of three “heirloom tomato catsups,” in Fruity, Earthy and Smoky flavors, is a testament to the product’s versatility. Each is recommended for specific proteins: The Earthy version (good for red meat) is accented with rosemary and juniper from Wind Ridge Herb Farm in Caledonia, Illinois, and is sweetened (and colored) with beet juice. 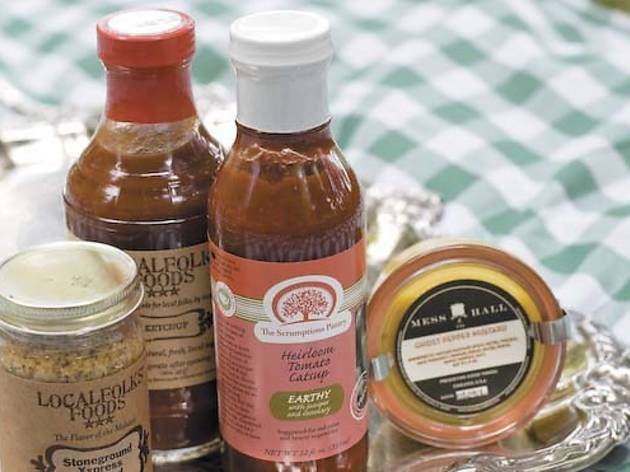 Find LocalFolks Foods ketchup ($4.99) and mustard ($5.49) at Olivia’s Market (2014 W Wabansia Ave, 773-227-4220); Mess Hall ghost-pepper mustard ($11.50) and the Scrumptious Pantry catsups ($6.99) are available at City Provisions (1818 W Wilson Ave, 773-293-2489).